Η ΕΙΚΟΝΟΓΡΑΜΜΑΤΗ και ΠΑΛΑΙΟΓΡΑΜΜΙΚΗ ΓΡΑΦΗ (από Μπουζάνη - Bouzanis K.): The Stone Spoon from Minoan Sanctuary Peak of Kythera is... presented to us! 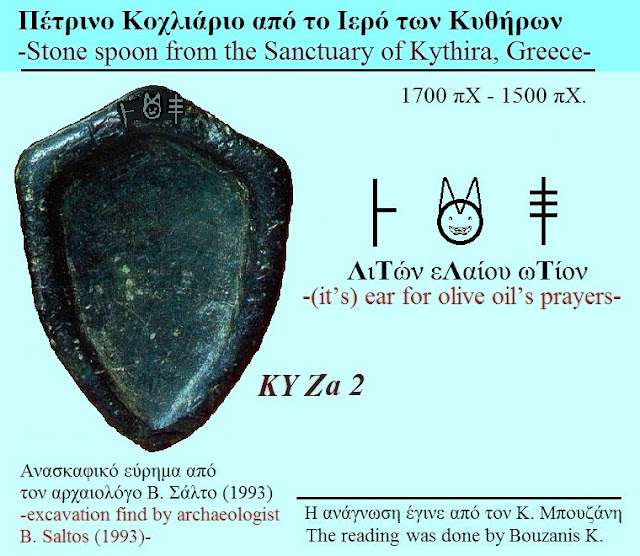 The Stone Spoon from Minoan Sanctuary Peak of Kythera is... presented to us! 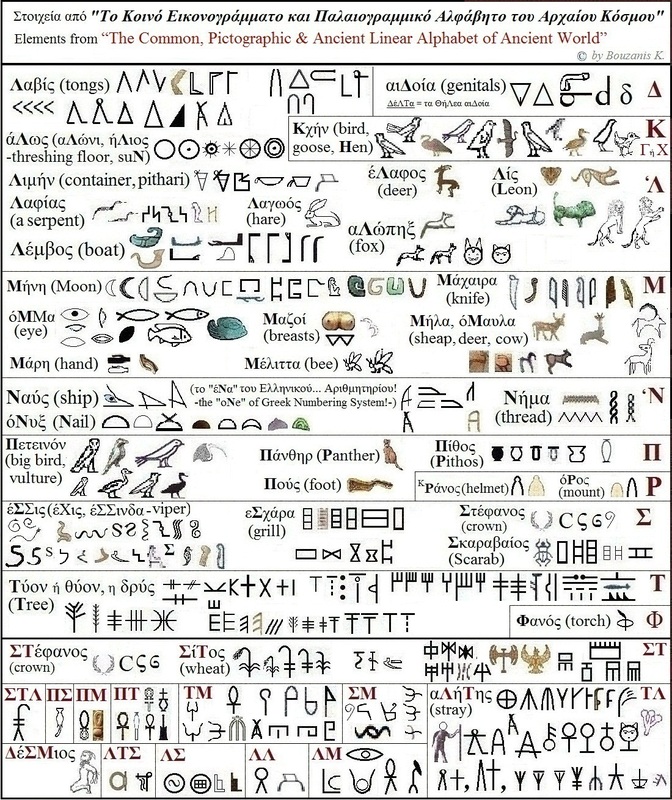 The Ancient World is full of inscriptions with the Common, Global, Eikonogrammato & Palaiogrammiko System of Writing-Reading of ancient speech! And here, on this Stone Spoon from Minoan Sanctuary Peak of Kythera, beats the heart of Hellenism! Really, what else would need to write someone on a stone spoon? Αναρτήθηκε από Μπουζάνης Κων. 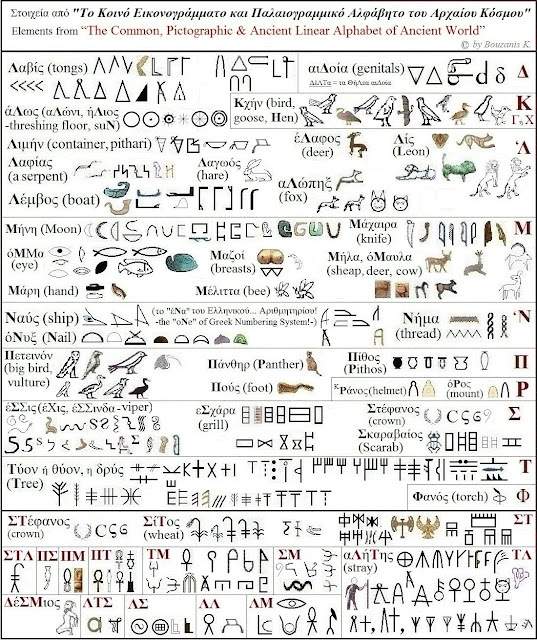 - Bouzanis K. στις 10:29:00 μ.μ.